Perrin Clore Duncan’s works in Strange Bedfellows have a very strong and distinctive style. She is an abstract painter mostly playing with shapes, colours and predominantly works with acrylic paints. Her works have a very strong visual language with a very mystic and profound usage of colours on canvas. Interplay between shapes and colours has been given a very visceral treatment which allows the audience to dissolve themselves into her work. Also, usage of bright colours in the paintings have a very profound psychological effect. Oval and circular shapes in almost all paintings sometime look like still life paintings of Paul Cezanne. It is very commendable how Perrin has abstracted the environment from the object of her subject matter, which give the audience a very new perspective of all the appearances in our world. The usage of titles in work is giving a very unique depth of open interpretation. The works “Nestled”, “Sharing Oxygen”, “Correspondence”, “Fullness” are her works trying to say about her world and sometimes seem to be questioning the reality of our apparent world. In other works, like “All for show” and “Fit in the box” space has been used with a very subtle and deliberate abstraction of context. Brush strokes are very vivid and bold in her paintings. There is no definite pattern within the usage of strokes which seems to be very intentional in all of her works. Perrin is currently working in Burren College of Art as a master’s student and the effect of sublime landscape can be seen very often in her all works. 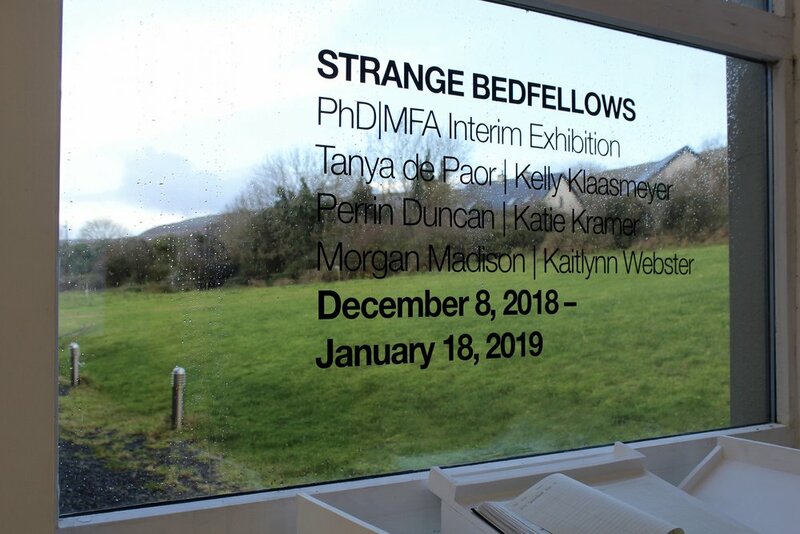 Although not directly representational but there is a strange connectivity between her abstract world and landscapes of Burren.